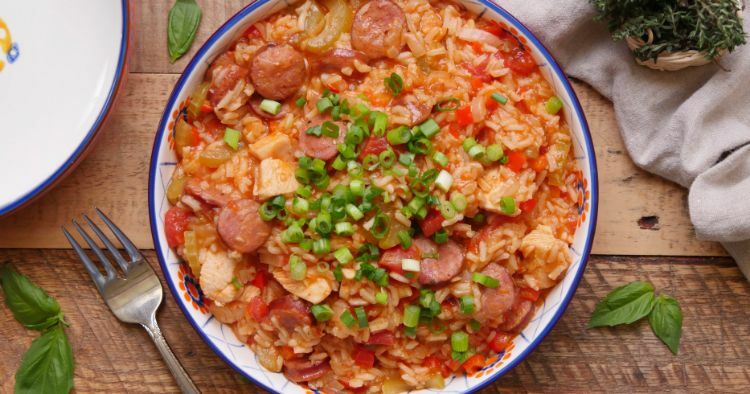 Jambalaya is a classic Louisiana rice dish that's loaded with meat, seasonings and flavor. It starts with spicy, smoked pork sausage (usually andouille) and the “holy trinity” of Cajun cooking: diced onion, celery and bell pepper. Other meats, rice and broth round out the robust flavor profile. 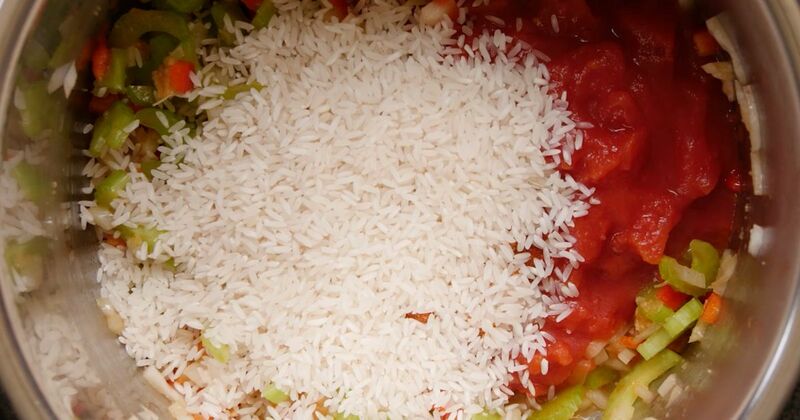 This version includes chunks of chicken that cook along with the rice. Using an Instant Pot (or any brand of multi-cooker) is a super-quick way to prepare this hearty one-pot meal. In fact, you can have it on the table in less than 30 minutes, which makes it a great dish to whip up on busy weeknights. You can make it as spicy or mild as you like it, depending on what type of sausage you use and how much Creole seasoning you add. Add the sausage and cook, stirring frequently, until the sausage is browned, about 6 minutes. Remove the sausage to a paper-towel-lined plate. Add the onion, bell pepper, garlic and celery. Cook and stir until the vegetables begin to soften, about 5 minutes. Add the chicken to the pot and cook, stirring, for 1 minute more. Add the undrained diced tomatoes, broth, Creole seasoning, salt and rice. Stir to mix. Close the lid of the pot and turn the valve to the sealing position. Choose high pressure and set the timer for 5 minutes. When the cooking time is up, quick-release the pressure and return the sausage to the pot. Cover the pot again, and turn the valve to the sealing position. Choose high pressure and set the timer for another 5 minutes. When the cooking time is up, quick-release the pressure and serve immediately.